Spring Street bells ringing, day two was beckoning. The 120 youth parliamentarians once again converged on Victorian Parliament in Melbourne for the penultimate day of 2018 Youth Parliament. The agenda was jam-packed, with eight complex bills to be introduced to the two houses of Youth Parliament. Following the famous ‘repeat after me’ song (see here: https://twitter.com/YPpressgallery/status/1013921962932858880)on the steps of Parliament house, it was Wangaratta High School’s ‘Awareness of Plastic Water Bottles’ Impact’ bill which was introduced to the parliament, with the Wellington Shire Council team assuming the position of opposition refuters. Meanwhile, in the Legislative Council, the Korin Gamadji Institute team introduced their ‘Compulsory Drug Education in Victorian Secondary Schools Bill’, where the YMCA Manningham and Donvale Christian College would refute. As with most debates during the second day, a robust discussion was guaranteed in what was ultimately a very narrow majority for the government. The bill proposed an awareness campaign, similar to that of cigarette plain-packaging, designed to minimise the environmental impact of single-use plastic bottles. In an impassioned sponsoring speech, Simone Kealy noted “50 million plastic water bottles are consumed each year, and they can take 1000 years to breakdown – that’s if they breakdown at all”. The opposition’s refutation was centrally focused around the feasibility of the warning ‘sticker’ attached to the plastic bottles. “These stickers are causing more damage than good…to our environment and our economy,” Rhianna Woolford said. In a slim 30-28 majority, the bill passed with amendments following a division of the assembly. In what was another fantastic debate, KGI successfully passed their compulsory secondary school drug education bill through parliament. 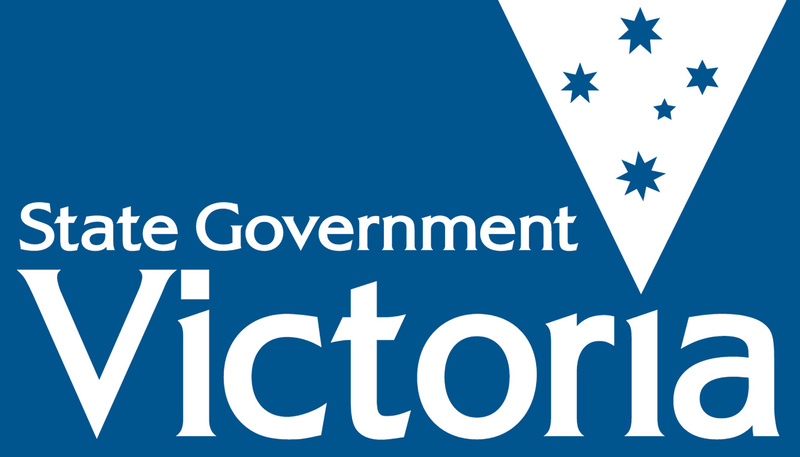 The bill stipulates the facilitation of compulsory drug education classes as part of Victorian senior school curriculum and the establishment of “an organisation, Drug Education Victoria, which will be responsible for establishing a curriculum for young people”. “It is our duty to change the culture of drugs and prevent another drug epidemic … the best way to do this is to educate” said bill co-sponsor, Joseph Yugumbari. The opposition to the bill came from the YMCA Manningham & Donvale Christian College team who cited the “sensitive” nature of drug education. “It is downright mad to sidestep the sensibilities of teachers” said opposition member, Patrick Bunney, adding that compulsory education is an infringement of freedom of speech. The bill passed, with amendments, thus combatting the lack of education surrounding drug use which often leads to the usage of harmful substances. Following a short break, parliamentarians were once again in the chambers considering the next round of bills. Mildura’s Out of Home Care Support Reform Bill was tabled into Youth Parliament with The Centre for Multicultural Youth in opposition. The proposal “aims to allow individuals in the out-of-home-care system, continued support to a practical age to assist with their future” through the provision of “support payments to out-of-home-care until the age of 21”. The extension of the age for out-of-home-care will “improve physical and mental health”, Bryce Watson said in support of the bill. The United Kingdom’s extension in 2014 resulted in “55% of young people being enrolled in full time education,” he added. Premier, Swathi Shanmukhasundaram, argued in opposition to the bill saying “it’s not addressing the root causes”. “How can we have faith in a system that is not well informed? How can we have faith in a system that is not future-proofed?” she questioned. Following minor amendment passages, the bill passed with a comfortable majority. Tarneit Secondary College’s ‘Mandatory Rooftop Gardens’ bill was next to hit the floor in the Legislative Council, with Westbourne Grammar School making the opposition’s case. The bill was predicated on the necessity to combat pollutant gasses within the atmosphere by adding greenery on top government buildings in the city. “Melbourne is recognised as being the most liveable city in the world,” Aisha Warsame said in support of the bill. “But we have to make it the most environmentally sustainable as well,” she added. Tarneit Secondary College cited examples of roof top gardens in Singapore and Dubai to justify the implementation of the proposal. The opposition combatted the scheme by bringing its practicality into question. “Functionality is as important as idealism,” said Westbourne Grammar School’s Gianluca Varala. “We suggest other alternatives to minimise the urban heat and pollution in the CBD such as cooling roof materials and solar panels,” added Tasha Gacutran. The bill ultimately passed the parliament, and will now be submitted to the Youth Governor for confirmation. In what was perhaps the fieriest of all debates so far, Ivanhoe Girls Grammar successfully passed their Food Production and Wastage Regulation Bill despite significant pushback from the refuting St Bede’s College. The bill’s broader aim is to “address the targets set by the Climate Change Act 2017 (Vic), to have Victoria carbon neutral by 2050”. Brigitte Fraser lead the supporting arguments, claiming “climate change is an ongoing issue” and can’t be “solved overnight”. The opposition took issue with the hefty economic punishment for entities not complying with Carbon Offset Standards. St Bede’s Matthew Watson described the bill as “economic suicide” which “fails to achieve its goal”. The debate dealt with larger issues relating to climate change with Rhianna Woolford suggesting that global warming will “flood many areas of coastal Victoria…and will induce busfires and higher seas levels”. The bill passed following a number of clarification amendments. With unanimous support, Deaf Children Australia’s Compulsory Captioning in Victorian Cinemas Bill passed Youth Parliament following a memorable and emotional debate. With the assistance of the bill’s sponsor, Nick Steer, the chamber was first taught how to interject in Auslan, with equivalent signs for “here here”, “well said”, “relevance” and “read the bill”. In a captivating introduction speech, Steer explained “20% of movie-goers miss out on crucial information about the plot as 20% of our population suffer from hearing loss”. Tayla Percy added to the opening remarks, with some timely truth-bombs, “for you people who hear, you have a privilege, it’s called access,” she said. “I only hear 15 percent of what people are saying, I’m deaf – I need captioning” Percy added. Opposing leader, Alannah McPeake, of the Dandenong Ranges team suggested cinema patrons may react violently to cinema staff if they are unhappy with captioning on their film. “This isn’t just for the deaf and hard of hearing community…this is for everyone out there… we all have barriers, let’s break them all together,” Nick Steer said in his right of reply speech. The bill was the first to pass Youth Parliament with unanimous support, and will be passed on to the State Government for consideration following the conclusion of Youth Parliament. Capitalising on the highly topical nature of the impact of gambling on Victorian youths, Castlemaine Secondary College passed their proposal despite robust rebuttal from the opposition team, Presbyterian Ladies’ College. Through the establishment of an education regime, the cessation of television gambling advertising and the implementation of a reverse campaign targeted at youth intervention, the proposal hopes to limit the mental and physical effect of gambling on Victorians. The bill received widespread support among youth parliamentarians, however the opposition team argued that the bill did not do enough. PLC suggested that a greater emphasis on the impact of poker machines needs to be considered for the bill to be most effective. In the final debate of day two, Newhaven College tabled their Sugar Taxation bill to the Youth Parliament for consideration. The bill was vehemently refuted by opposition members from Gleneagles Secondary College, however the proposal was ultimately passed. “20-25% of youth in Australia are overweight, and a quarter of those are obese,” Newhaven said. By displaying health warning and education labels on sugary substances, the bill hopes to counteract Victoria’s growing obesity problem. “These labels will replace a system that deceives consumers”, Indigo Donahoo said. “Victoria’s current Health Star Rating system is dishonest”, Donahoo added. The opposition took issue with the bill’s disregard for Victorians without reasonable access to sustenance. “What about those who do not have access to food? What will they think of this bill? We should be helping those who are starving,” Alishbaj Younus said. The bill joined seven others from day two which passed through Youth Parliament. Before the lunch time break, Youth Parliamentarians were treated to a question and answer session with leaders of charities, youth empowerment organisations and political activists, including Vollie founder, Matthew Boyd. Youth Parliament was also given a visit by Former Legislative Council President, Rod Mackenzie. Mr McKenzie played a pivotal role in the establishment of Youth Parliament 32 years ago, and this year his granddaughter, Georgia, is part of the Press Gallery program. Follow @YPpressgallery for live updates from Day Three. Previous Previous post: Wangaratta High School Calls for Increased Awareness of the Effect of Plastic Water Bottles on the Environment in the 2018 YMCA Youth Parliament.